Dr. Seropian is a practicing pediatric anesthesiologist and Professor of Anesthesiology & Pediatrics at Oregon Health & Science University. 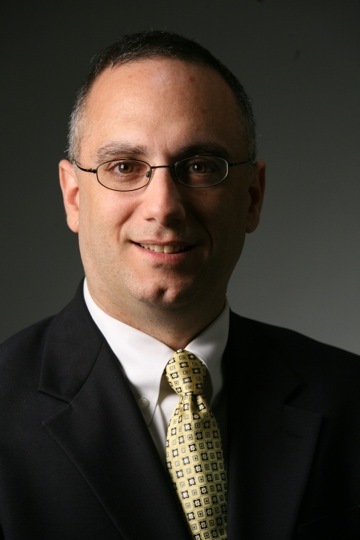 Dr. Seropian has more than 22 years of experience in simulation development and training. 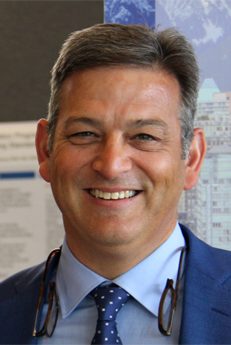 He is currently the President of the Global Network for Simulation in Healthcare (GNSH) and Director of Simulation for the Department of Anesthesiology at OHSU. He has published extensively and trained hundreds of individuals across professions in the use of simulation-based methods. He is the owner and President of The SimHealth Group, an interprofessional company that works around the world to design, develop and enhance simulation-based training, education and assessment. He was President of the Society for Simulation in Healthcare (SSH) in 2011 and on the Board of Directors for seven years. He also sits on the American Society of Anesthesiology Editorial Board on simulation education and is the Treasurer of the International Pediatric Simulation Society. 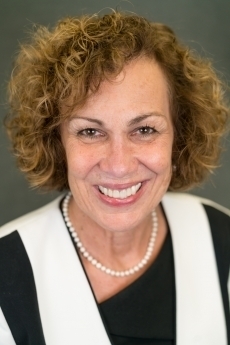 Dr. Durham as a member of the RWJFs Quality and Safety Education for Nurses (QSEN) project, she developed simulation-based educational experiences that reflect cutting-edge pedagogy. Dr. Durham has made significant and sustained contributions in interprofessional education and is a leader in preparing faculty to integrate quality and safety into their curriculum and their teaching. Disseminating her work widely via publications, presentations and online modules has extended its impact around the world. Dr. Durham is a visionary leader in practice-based education, and is a highly sought consultant by simulation and skills laboratory faculty. She is a fellow in the American Academy of Nursing and the National League for Nursing (NLN) Academy of Nursing Education. Dr. Durham received the 2010 Academic Achievement Award from Western Carolina University and received a Presidential Citation from the Society for Simulation in Healthcare in 2017. She is Past President of the International Nursing Association for Clinical Simulation & Learning. Doug Beighle joined Simulab in 2002 and was appointed President and COO in 2006. 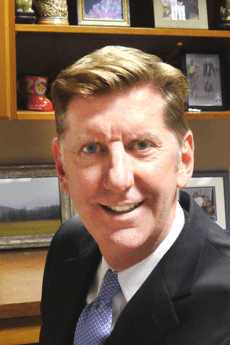 He is a seasoned veteran with over 35 years of proven experience in the areas of revenue and profit growth, market development, and management team leadership. Founded in 1994, Simulab designs, builds and manufactures medical simulators and task trainers for the medical education community and is considered the market leader in soft tissue simulation. In 2012, MERCI (Medical Error Reduction and Certification, Inc.) was officially launched and rolled out of Simulab as a stand-alone company. MERCI provides turn-key patient safety training programs designed specifically to serve hospitals with goals of reducing procedural medical errors and improving patient care. Since this date, Doug wears two hats as the President & COO of both organizations. 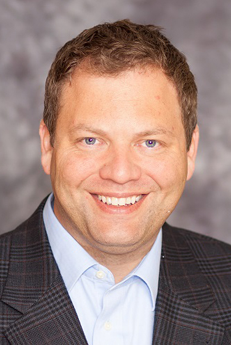 Prior to joining Simulab, Doug served as President and CEO for several Seattle based computer hardware and soft companies. Doug earned a B.A. in Economics from Claremont McKenna College. 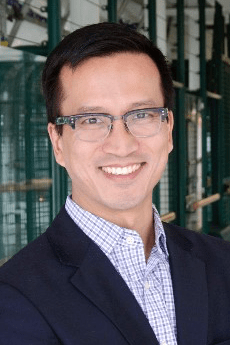 Lennox Huang is the Chief Medical Officer and Vice President for Medical and Academic Affairs at the Hospital for Sick Children in Toronto, Canada. He is a staff physician in the Pediatric Critical Care Unit at Sick Kids and holds the rank of Associate Professor in the Department of Paediatrics at the University of Toronto and Associate Clinical Professor of Pediatrics at McMaster University. 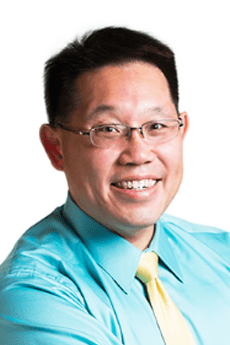 Dr. Huang’s past leadership roles include Chair of the Department of Pediatrics at McMaster University and the Chief of Pediatrics at Hamilton Health Sciences and St. Joseph’s Healthcare Hamilton. Dr. Huang’s academic interests are largely in the areas of simulation, patient safety, and health professional education. Most recently he has focused on using Lean principles and in-situ simulation to guide the design and testing of clinical spaces and integrating simulation into organization wide safety behaviour training. David Grant has been actively involved in simulation delivery and leadership at institutional, regional, national and international level. His focus at all levels is to establish simulation capacity in all healthcare settings globally, enabling local expertise through supporting faculty development, curriculum development, collaboration and research. He has been involved with GNSH since its inception in 2010. Lucas Huang is the Co-Founder of B-Line Medical, LLC, located in Washington, DC. He received his BS in Electrical Engineering and B.S. in Aerospace Engineering from North Carolina State University. He was a systems engineer, test engineer, software developer to eventually head up the team that redesigned the control center for the Hubble Space Telescope, creating one of the first fully web based satellite control centers. Prior to B-Line Medical, Lucas founded a consulting company specializing in web based data aggregation and mining, did work for Lockheed Martin, NASA, and the National Education Association. B-Line Medical currently has 500+ installations in hospitals, medical schools, nursing programs, inter-professional centers, in 30 countries (Dedicated centers, mult-site, and mobile) centralizing data and establishing metrics. Lucas is actively involved on large projects, projects that directly impact patient care, and advocates for recording all delivered care to improve outcomes. 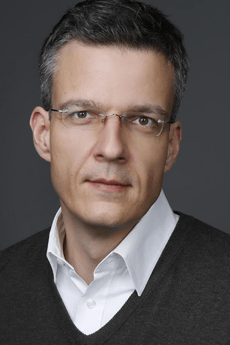 Ralf Krage is an anesthesiologist. Since 2007 he works at the VU university medical center in Amsterdam, the Netherlands and he is the director of the ADAM simulation center. His special interests focus on Human Factor issues. He has a record of numerous invited presentations on international conferences on Human Factors, patient safety, simulation-based learning and airway management. He is currently the Immediate Past President of SESAM (Society in Europe for Simulation Applied to Medicine) after serving as president between 2013-2015 and was vice-president of the DSSH 2011 – 2016 (Dutch society for Simulation in Healthcare). He is also a Board member of the GNSH association (Global network for Simulation in Healthcare). For the International Meeting for Simulation in Healthcare (IMSH2013) he served as co-chair. He is on the international Advisory Board for the scientific journal ‘Advances in Simulation’. Executive Director of the Center for Healthcare Improvement and Patient Simulation (CHIPS), a 45,000 square feet stand alone simulation building at the University of Tennessee Health Science Center where he also holds rank of Professor in the Departments of Anesthesiology and Interprofessional Education. Dr. Epps trained in Anesthesiology and completed a fellowship in Healthcare Simulation at the Mount Sinai Medical Center in New York City. As a fellow, faculty, and director of simulation he has been active in simulation education, research, assessment, and center management for the past 15 years. He is past President of the Society for Simulation in Healthcare and past Chair of the Council on Accreditation of Healthcare Simulation Programs. He is published in the areas of simulation enhanced interprofessional education and co-edited the textbook Defining Excellence in Simulation Programs (Lippincott Williams & Wilkins). Dean of George Washington University School of Nursing and professor of nursing. Dean Jeffries is internationally known for her research and work in nursing and health care education. She is well regarded for her scholarly contributions to the development of innovative teaching strategies, experiential learning techniques, new pedagogies and the delivery of content using technology. With the NLN, Dr. Jeffries developed the major contribution to simulation scholarship, the framework, and monograph now known as the NLN Jeffries Simulation Theory. Dr. Jeffries is a fellow of the American Academy of Nursing, an inductee of the prestigious Sigma Theta Tau Research Hall of Fame, an inaugural fellow of the Society for Simulation in Health Care Academy and the 2016 recipient of the American Association of Colleges of Nursing Scholarship of Teaching and Learning Excellence Award. 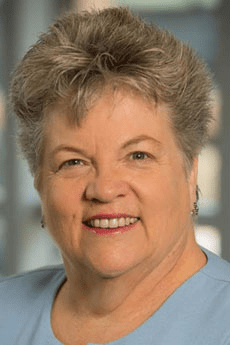 Her accomplishments and dedication to nursing have been recognized through prestigious teaching and research awards and honors from the NLN, Sigma Theta Tau International, the Midwest Nursing Research Society and the International Nursing Association of Clinical Simulations and Learning.